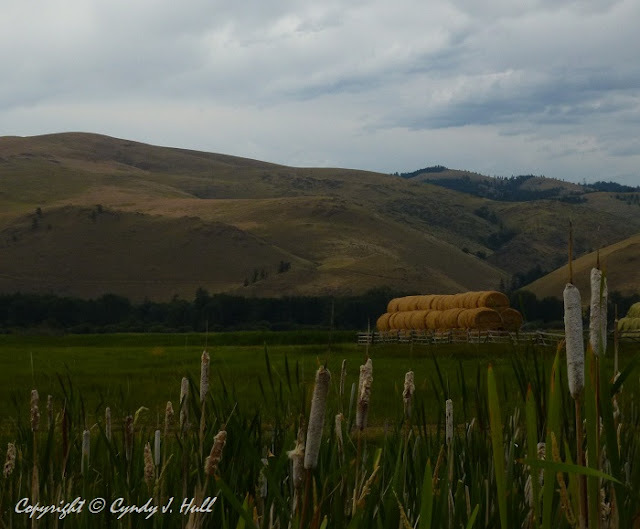 After moving to Montana, my middle sister and I would exclaim, "Shredded wheat! ", whenever we'd see round hay bales like these south of Lolo, Montana. If you make the correlation, you've dated your range of experience, shall we say. For the unknowing, shredded wheat cereal used to be shaped in round biscuits, also referred to as muffets.